The New Hestia LP Latex pocket collection top model is this 2000 Pocket Model that offers a Luxury medium feel with a new 5cm deeper layer of 100% natural latex on top of a twin spring 2000 supreme pocket spring unit which in turn is all encased in a soft knit stretch fabric covering. This fabric has been treated with Tencel a anti cooling and anti bacterial cover. 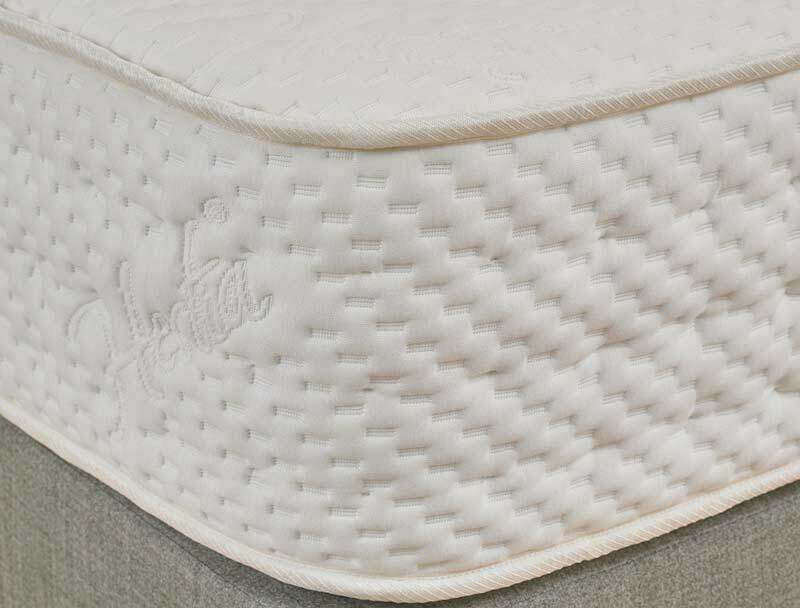 The Mattress is also foam encapsulated with a foam wall around the mattress helping it to has a firmer less sinking feel at the sides of the mattress. 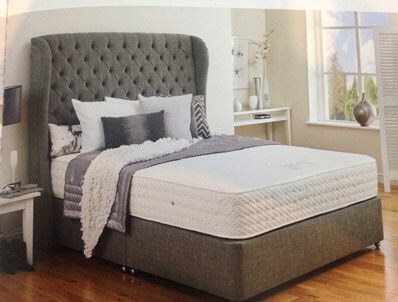 This Non turnable mattress sits on a Galaxy extra strong platform top hard base that is 12 inches deep and is supplied with solid chrome castors. Drawers are a option with a choice of 2 or 4 drawers. The Galaxy drawers are a superior quality push to open or close drawers. 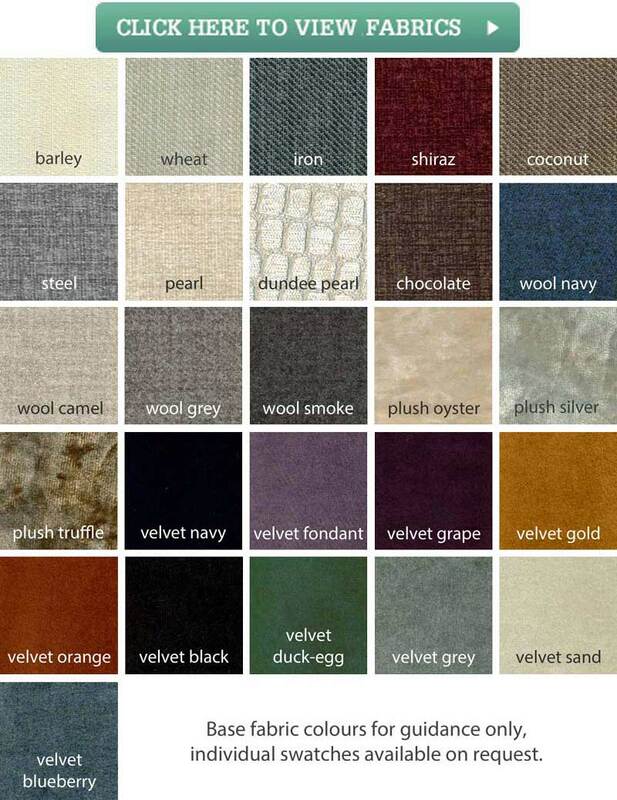 The base is availaable in a range 24 exciting fabric colourways. The headboard pictured is called Valentine and is winged and buttoned. This headboard like all headboards is not included in the price but is available as a optional extra.